Do a pre-mortem. Plan out everything that could go wrong, months before your show. 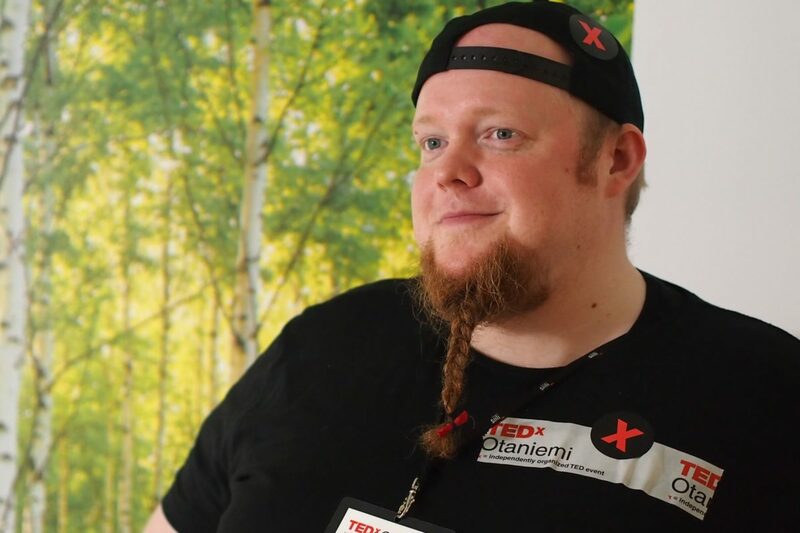 Hannu Jaakkola, is the organizer of TEDxOtaniemi in Finland, near Helsinki. This town is known as the largest tech center and the startup-centric area in the country. When you mention Hannu in a group of TEDx organizers, everyone smiles. He’s got a great personality and is very easy to be around. This is an essential trait to be a TEDx organizer. His first taste of TEDx was at a Youth event in Helsinki, and he was hooked. He said, “I can do this as well.” That’s usually all it takes to get hooked on producing your TEDx event. We went a bit off script in this conversation. Maybe it was because of his demeanor and ease of conversation. You’ll enjoy this nice long chat with Hannu. Hannu first enjoyed TEDxYouth@Kamppi in late 2014 and applied for first TEDx license in January 2015. Everything he learned though was from the TEDx website, the guidelines, and tips and tricks. He worked with one of his friends who’s gifted at egging him on to do the event. He thinks maybe he could have done it a bit more thoughtfully; instead, he jumped in with both feet. The themes that we’ve done. Designing for Love of Learning and Learn to Play, Play to Learn and now this year, Constructing Kindness. Thes have all affected the DNA of how we do the event. The theme is a way of organizing our brains around the central motif of the event. The theme gives it some structure but doesn’t contain it that much. Collaborating. I think of this as creating a safe environment, and talking with people until they are as excited about the ideas as I am. The fear of letting people down is a big one for me. TEDxLincoln. NOTE: Randy Bretz has a pretty big following on TEDxHub and is so helpful, I bet these two would get along famously. Do a pre-mortem. Plan out everything that could go wrong, months before your show. NOTE: There’s an extensive discussion about this concept in the show. Take time to listen all the way through.Organize a community event over a couple of hours and use post-it notes, using a facilitation process including, “What’s relevant to your life?” “What’s most important to you?” This was how they came up with Kindness, which led to the eventual theme for 2017.